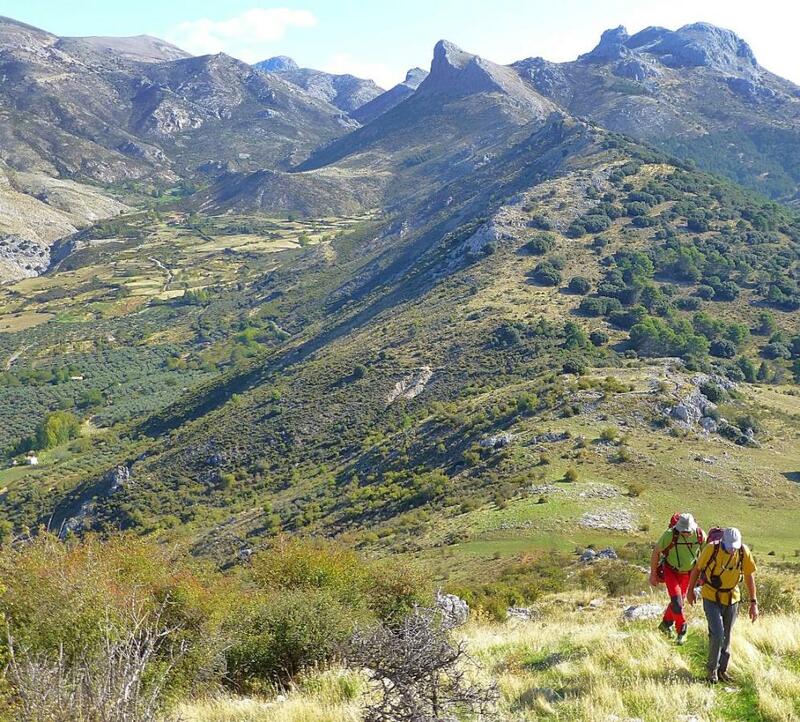 The Sierra de Huetor mountains are relatively unknown and give great guided walking and scrambling in quiet and interesting scenery. The hills and forests offer the intrepid explorer a magnificent insight into the days when there were few paths into the mountainous areas. The area may only reach around 2000 metres in height but they have fascinating valley and mountain scenery worthy of mountains much higher and...more famous? Sierra de Huetor is set in Granada province, close to the towns of Huetor de Santillan, Cogollos Vega, Diezma, Beas de Granada, Nívar and Viznar. This open space is noted for its botanical importance and the Mediterranean type fauna, that includes protected species, for example the golden eagle and wild cat. The area is open to day or multi-day walking and is perfect for the "get away from it all" types who are tired of following wide trails and footpaths accompanied by the noise of other travellers. The fauna of the area also includes reptiles, little owls and tawny owls, blackbirds, robins, warblers and partridges, amongst other species. The botanical importance of Sierra de Huertor cannot be disputed, since besides the presence of oaks, maples and gall-oaks, numerous local and North African endemisms can be encountered. We are growing to love this area and have seldom met other people on our journeys through these hills. In addition to wild and quiet walking we have also "discovered" some brilliant scrambling potential. Some of the summits surpass (in our opinion) many of those found in the higher Sierra Nevada! Indeed some of our parties have put up new climbing routes in the area on perfect limestone crags. The "Peak of the Dead" rises behind the town of Cogollos Vega and makes a very pleasant circular day walk. The mountain from a distance looks impregnable, but a gentle path ascends to a col where a wonderful surprise awaits, the whole of the Sierra Nevada range spread out befoew you to the south! The ascent to the peak is a bit loose and rocky, but nowhere involving the use of hands. The view from the summit is superlative. We return to a small col and take a traverse path below dramatic cliffs which encircle the mountain. The valley north of the Penon de la Mata is acricultural but has a very wild and unkept feel. Few others will be met. A little gem and yet, so close to the centre of Granada. 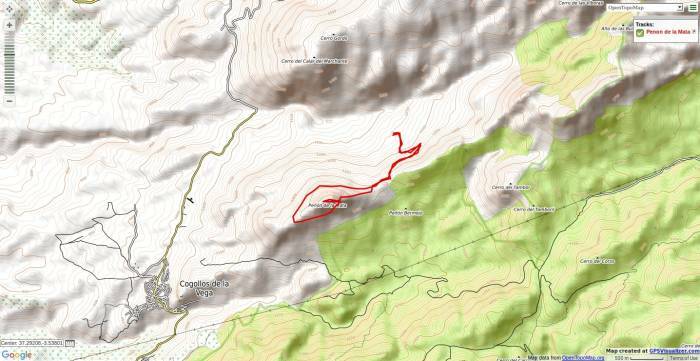 This walk is often just on faint goat tracks. 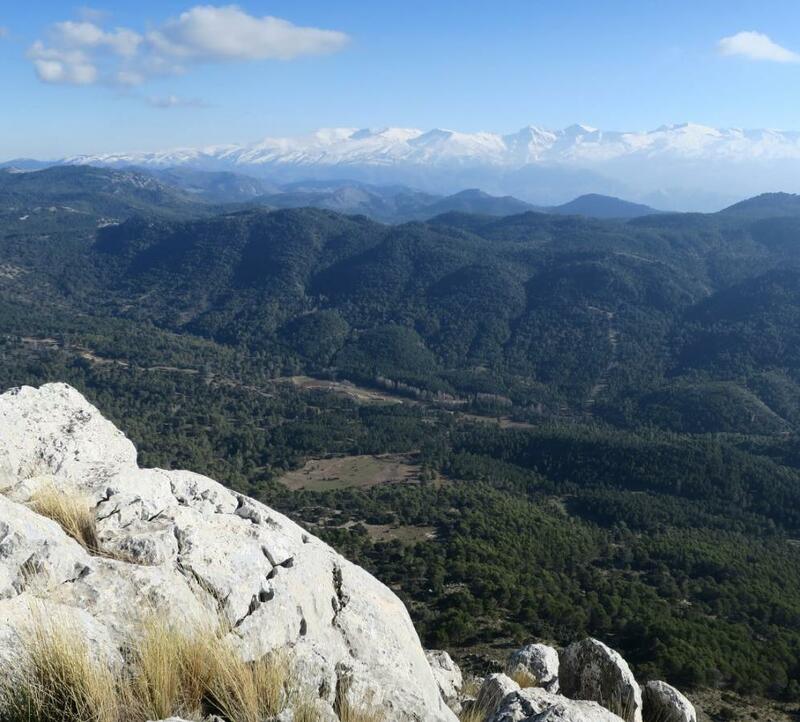 We ascend from near the Puerta de la Moro northwards through pine forests before breaking out onto open hillsides. Faint tracks lead up to the ridge which leads to the reigning peak of Majalijar. The ridge is rocky but mainly easy walking on limestone escarpment. Great views guaranteed southwards to the Sierra Nevada. 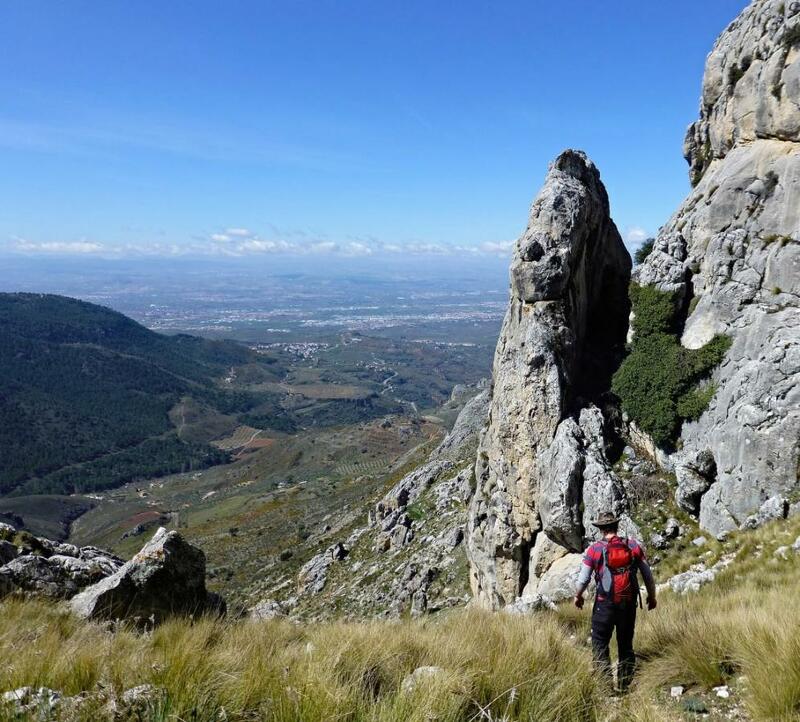 Combines the wonderful Peñon de la Mata with a walk over the whaleback ridge of Peñones. A return walk down the central valley to finish. Much harder than either of the other two walks we do here. 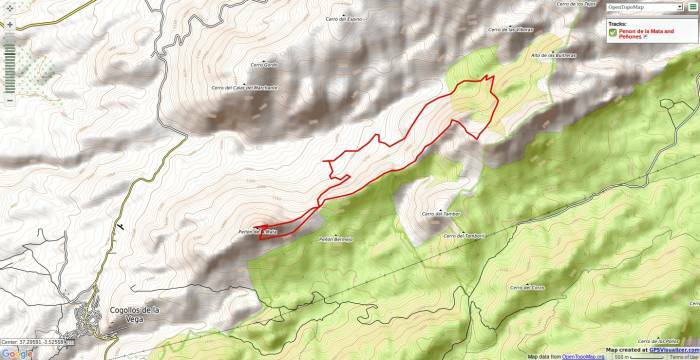 Some rough and pathless hiking involved.